Oahu visitors with a taste for craft brews are in for a special treat with the Hawaiian Craft Brewers Guild Tap Extravaganza on October 20 at the Village Bottle Shop in Kakaako. Hawaii’s craft breweries are thriving as consumers here and abroad embrace the efforts of a relative handful of dedicated brew masters. More than just a celebration of beer, which it is, the “extravaganza” is also showcase of the research and the work that goes into making Hawaii’s most successful brands. Certainly, brewing is a highly competitive business. To the tune of hundreds of billions of dollars every year. Yet while Hawaii’s craft breweries and brewpubs are necessarily competitors, it’s a healthy, good-natured competition. The craft brewing community around the world is collegial. This may be because the people that make craft brews are just happy to be doing what they love, and to be making people happy in doing it. Add to that doing it here in paradise, and it’s easy to see why Hawaii brewers are such a friendly and familiar lot. 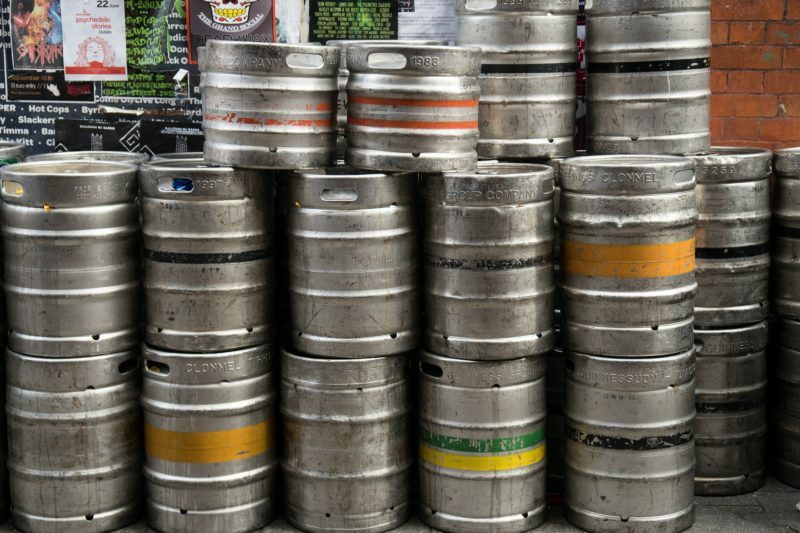 Hawaii is home to many breweries. Accurately described as mad scientists, brewers in Hawaii are gifted with a wide variety of Hawaii ingredients with which to experiment. Passion fruit, Kona coffee, coconut, pineapple; many of the flavors of Hawaii are to be experienced in the many craft brews available in Hawaii. The sense of community among Hawaii brewers is palpable. It’s not unusual for brewers to frequent the establishments of their competitors here. There are several breweries and brewpubs within blocks of one another in Kakaako alone. Grizzled brew masters commiserate over pints about their next boil, or over the hibiscus notes in the latest IPA offering from around the corner. And that is what makes the Tap Extravaganza a unique event. It is a fundraiser for the Hawaiian Brewers Guild, an organization comprised of breweries from Oahu, Maui, the Big Island, and Kauai. Webster defines a guild as “an association of people with similar interests or pursuits.” Craft brewing in Hawaii is as much a community as it is a marketplace. Twenty different brews will be featured at the event. Food from local restaurants will be on hand, featuring fare that has made Kakaako a hotbed of innovative new chefs and cuisines, and discerning palates. There will be games and a raffle and prizes. The Tap Extravaganza is also a great reason explore Kakaako as the area continues to enjoy the growth of the food and beverage and art communities in Honolulu. Many of its new restaurants now offer free delivery to Kakaako and downtown brewpubs and bars. These young businesses are helping one another find success, many featuring street murals by internationally renowned artists. Village Bottle Shop is “the first dedicated craft beer bottle shop and beer café in the state of Hawaii.” They stock over 500 craft brews, with 16 taps in constant rotation. It’s a beer nerd’s dream, and a fitting place to honor the hard work and dedication of Hawaii’s brewers and breweries. 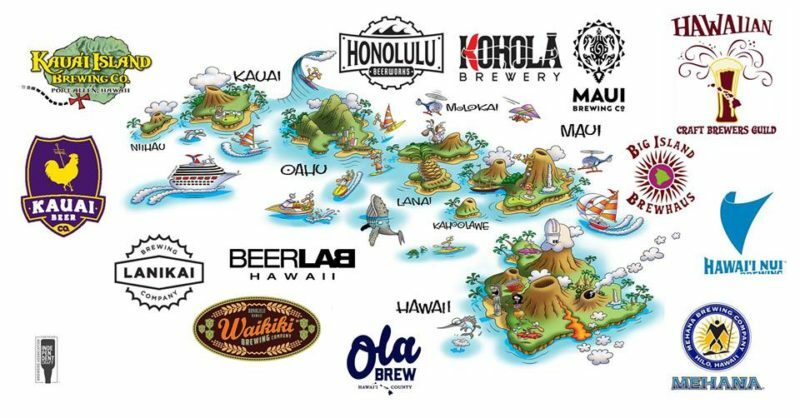 Featured breweries at the Tap Extravaganza include Waikiki Brewing, Kauai Island Brewing, Maui Brewing Company, and the Big Island Brewhaus.